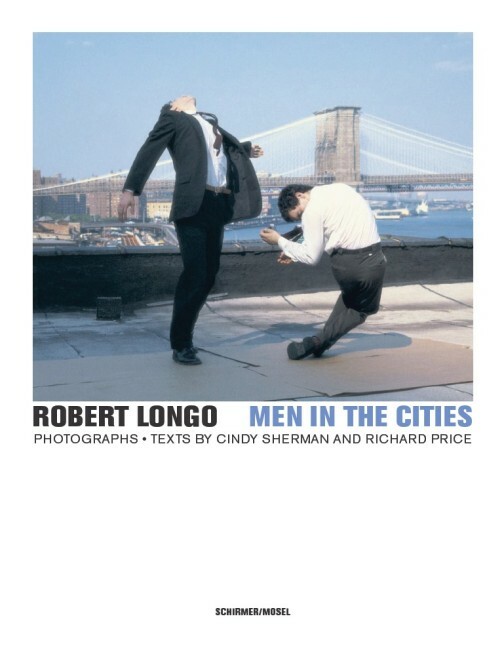 For his famous "Men in the Cities" series, drawings of sharply dressed businesspeople writhing in contortion, a sort of death dance of the modern man, Longo used his friends as models. He'd bring them up on the roof of his loft, rope them, yank them, throw rubber balls at them to make them jerk, fling, and fall, and take their pictures. They recall both stills from violent movie scenes and sculptures of man in agony from the history of art. First published in 2009, the book is available again in its 2nd edition. English/German edition. Schirmer/Mosel. With an introduction by Cindy Sherman and an interview with Robert Longo by Richard Price. 128 pages, 94 colour and duotone plates. Size: 22 x 28 cm, hardcover.